Igiugig resident Ida Nelson testifies during the USACE's hearing on Pebble Mine's draft EIS. Situated in southwest Alaska, Lake Iliamna is renowned for its pure water, freshwater seals and fish. Now, it is the center of one of the most contentious debates in the state. The proposed Pebble Mine would sit 17 miles north of the lake. It would tap into large deposits of copper, gold and molybdenum. And it would operate at the headwaters of the largest sockeye salmon run in the world. For some, this spells disaster for that habitat and residents’ traditional way of life. But others say it is a chance at renewed economic vitality. In Kokhanok, around fifty people attended the U.S. Army Corps of Engineers' public hearing on the mine, though far fewer testified. Marlene Nielsen was one of those who spoke in support of the proposal. “So I’ve lived in Iliamna all my life. I have a daughter and, you know, I choose to live here. This is my home, this is where I want to be. And I am able to live here because I have a job,” she said. 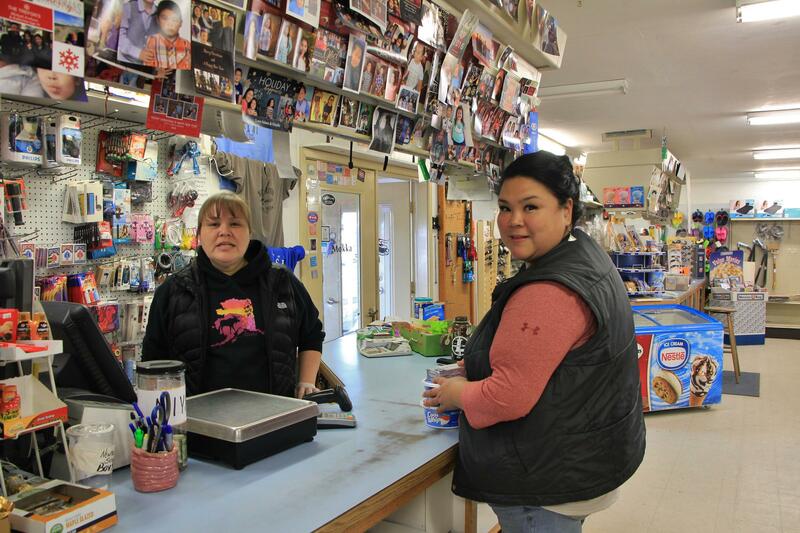 Chasity Anelon, right, at the Iliamna General Store. Newhalen Tribal President Henry Olympic is a commercial fisherman. During his testimony, he remained neutral on the project. But he said that in addition to fishing, he needed to work full-time. “Me being a fisherman from Newhalen, we don’t get that luxury of getting that help from BBEDC or being in the CDQ,” he explained. For some, Pebble provides an answer to economic stalemate. But for others, the potential for damage is unacceptable. The hearing in Igiugig featured mainly anti-Pebble testimony. Those opposed to the mine cited threats to subsistence activities and their way of life. That included Sheryl Wassillie, who stressed the need to prioritize traditional values. 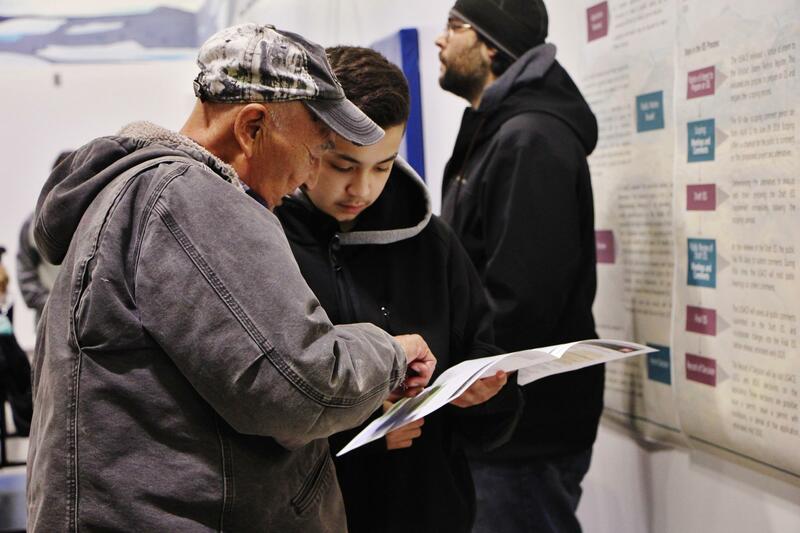 In recent years, Igiugig has taken part in revitalization efforts for Yup’ik language and dance, and Wassillie worried that those efforts would be cut short. “I think I first heard about Pebble when I was 16. I’m 26 now, so like 10 years ago,” she said. Zackar is against the mine. She said that even if it provides jobs in the short-term, when the mine closes those jobs will disappear. Still, she can understand why some people support it. 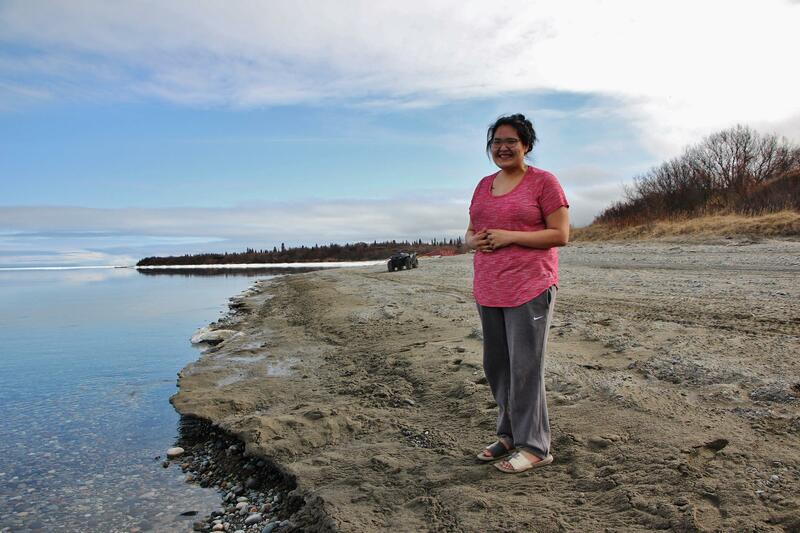 Alicia Zackar stands on the beach by the Kvichak River, a few feet from where she grew up. “People that haven’t been here are probably going to pick pro-Pebble, because they haven't seen how beautiful it is and what’s at risk,” she said.